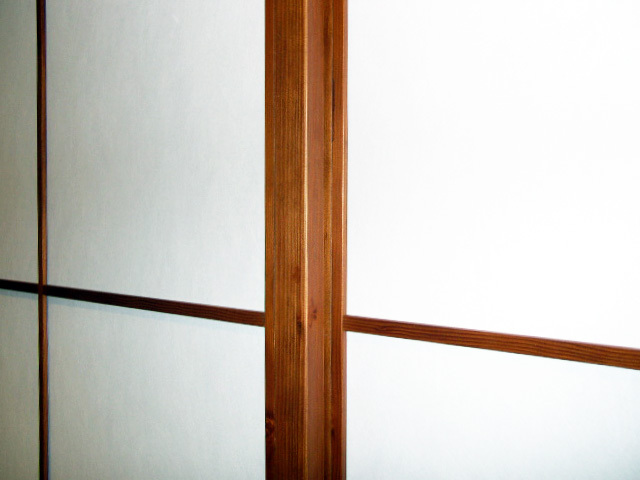 Regardless of what dimensions you require, we’ll build you a Shoji. 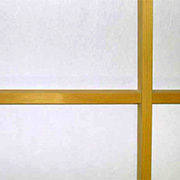 With each Shoji, we pay special attention to a harmonious grid pattern according to the golden section or the square grid. 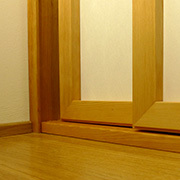 This gives the lattice frame its special aesthetics. 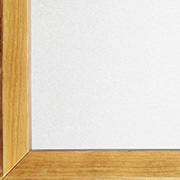 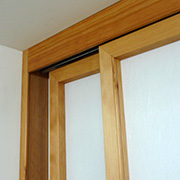 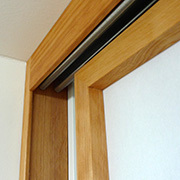 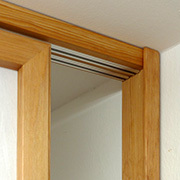 For the Japanese sliding door or sliding wall, the wood of the North American hemlock fir has proven; it has a warm tint and, due to its fine and straight growth, is extremely resilient (particularly important in a high-use built-in wardrobe with sliding doors running in front of each other). 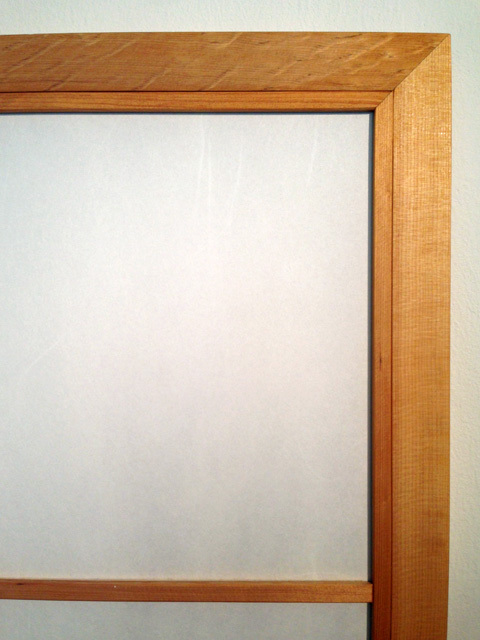 We only use carefully hand-selected woods. Being a pure natural product, there might be variations in grain and colour. Lighter and darker areas of the wood will align in time while some small occasional dark inlets make texture very lively. 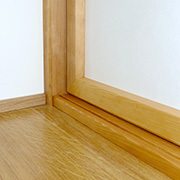 The wood of the lattice frames is finely sanded and treated as standard with a natural resin-hard oil. 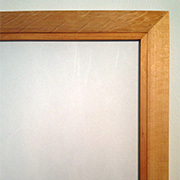 On request, it can also be painted – in any color that you like. If you prefer stain colors ("positive stains"), you can select them from the →Oberflächenkarte (surface map). 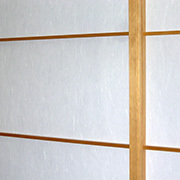 Our original Japanese paper, which we import ourselves, is known for its special resistance to tearing. 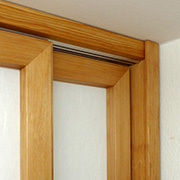 It is applied taut over the entire area of the lattice frame. You can choose between structured and smooth surface Japanese paper. Incidentally, it is so sturdy that it can only be damaged using a sharp object. 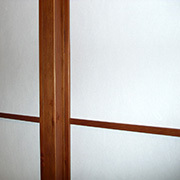 Should the Japanese paper be damaged, it’s not the end of the world: each field in the lattice frame can be replaced individually. 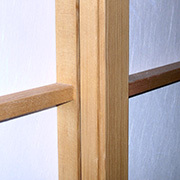 If a Shoji is visible on both sides (e.g. 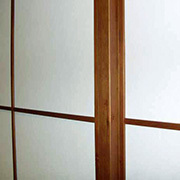 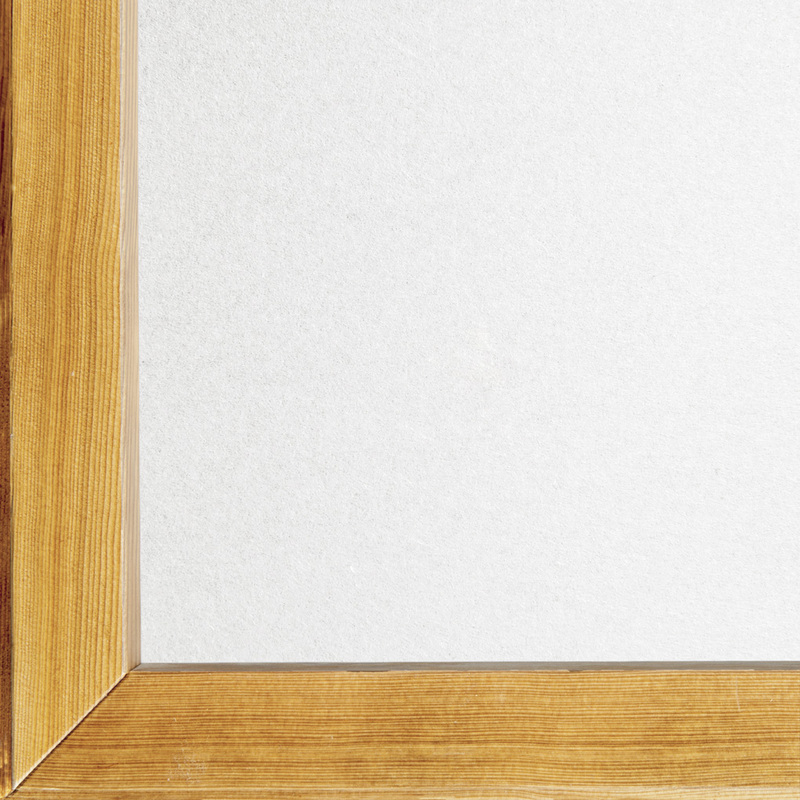 for a room door or a Japanese room divider), we also apply back lattices, so that the Japanese paper lies within the lattice frame.